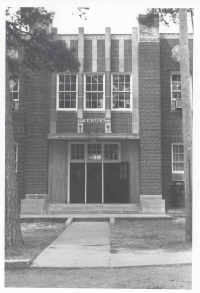 Classes began in a portable building in 1929. This brick structure was erected in 1937 and was added to in 1943, 1953 and 1958. The district considered the name "West End," but ultimately decided on "Oakhurst" after the area in which the school is located. The school changed its name to Martin Luther King in 1982-83 after the first school to bear this name, originally called Granite Mountain Elementary, closed at the end of the 1981-82 year. It ceased operation as an elementary school in 1990. This building now houses the LRSD Adult Education Center.